The stylish Plaza square slide rail kit, featuring a sleek design, the stunning plaza slide rail kit is designed and manufactured using the finest methods and materials to ensure a high quality product. 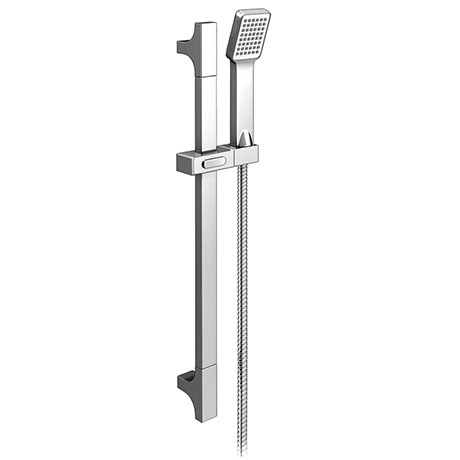 With it's clean lines the Plaza shower will naturally blend in to and compliment any modern bathroom. Please note - Certain parts are chrome plated plastic, not metal. The only parts that are not plastic are the rail and the hose.